Last year I planted some dahlia tubers in a flower bed under the livingroom window. Seven out of the eight that I planted grew, but they were a bit late flowering (my fault for planting them late!) and then got obliterated by the strong autumn winds. Once the leaves had turned black, after the first frosts, I cut them down leaving just a tiny bit of the stem above the soil. They were then covered in a really deep layer of topsoil to protect them from frost. They looked so lovely I decided to buy some more and create a flower border just full of dahlias. They are all semi-cactus variety and the flowers are huge. The foliage varies from a green-black to lime green so even before the flowers open there is some variety of colour. 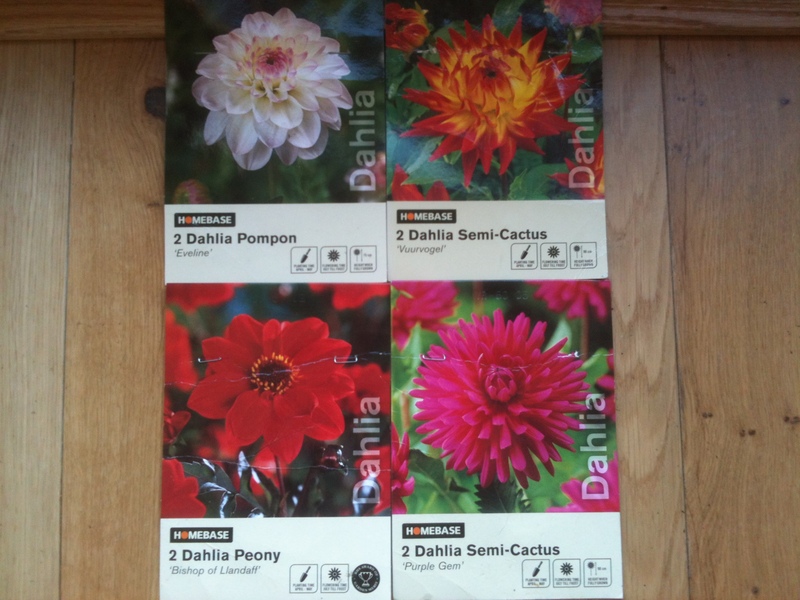 It is recommended that dahlia tubers are planted in the ground about 6 weeks before the last frost is expected. This is round about now where I live. 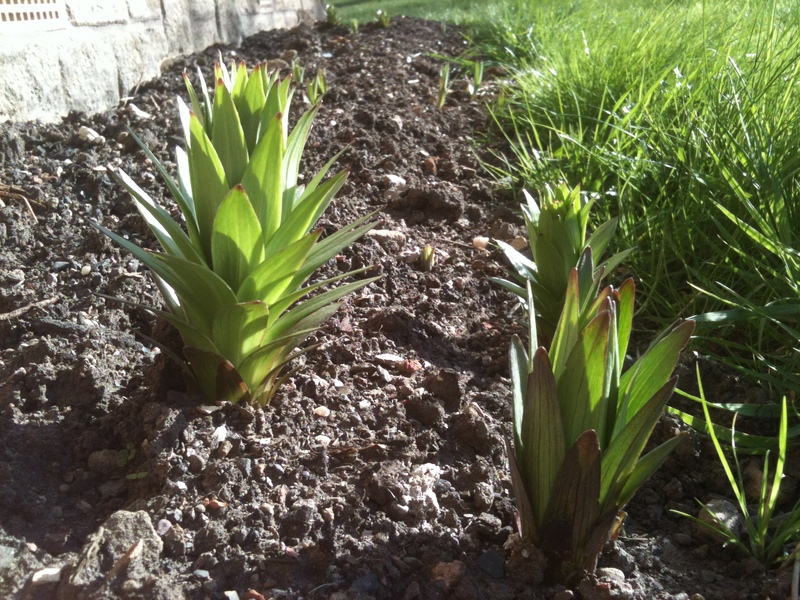 I was having a look at the border when I noticed a pineapple shape sticking up out of the ground. As the week has gone on more and more have started to appear. Now if I was a betting woman I would put money on them being dahlias. However, they are not anywhere near where they were last year. According to Mr Mac the tubers spread and what has popped up are new tubers. This explains why they are in a different place. It is unlikely last year’s tubers will flower which means I will need to wait to see where they are all going to pop up before I can plant the new ones. It also means that they will have to be protected from the risk of frost so I will be tuned to the weather forecast each night and if it looks like it may be frosty I have some protective fleece to throw over them. It would be a shame to lose them now after they have survived the winter. 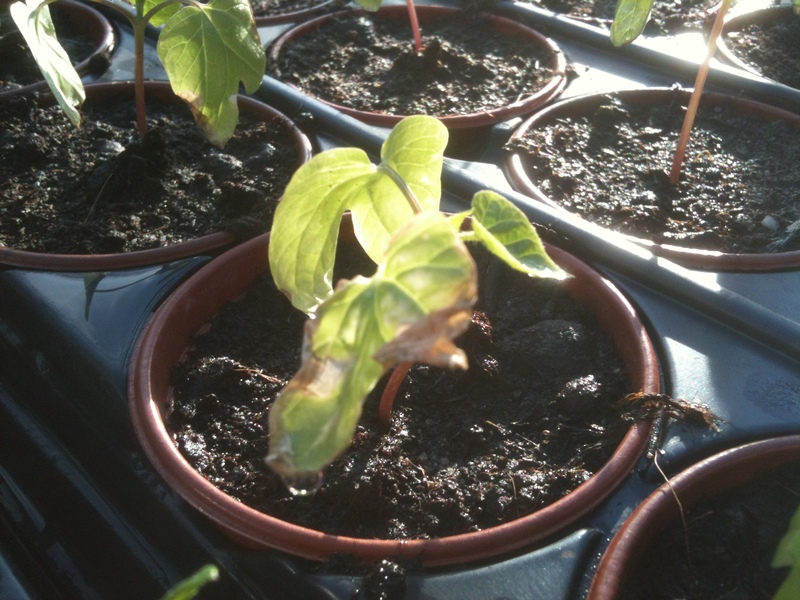 Another odd thing that has happened this week is the Morning Glory seedlings I potted on last week look like they have started to burn round the edges! They were growing really well but now most of them look as if they are going to die. I wondered if it was just too hot for them in the greenhouse so I have been taking them outside each morning and putting them back in at night. I have planted some more seeds just in case. I will need them for my blue wall. 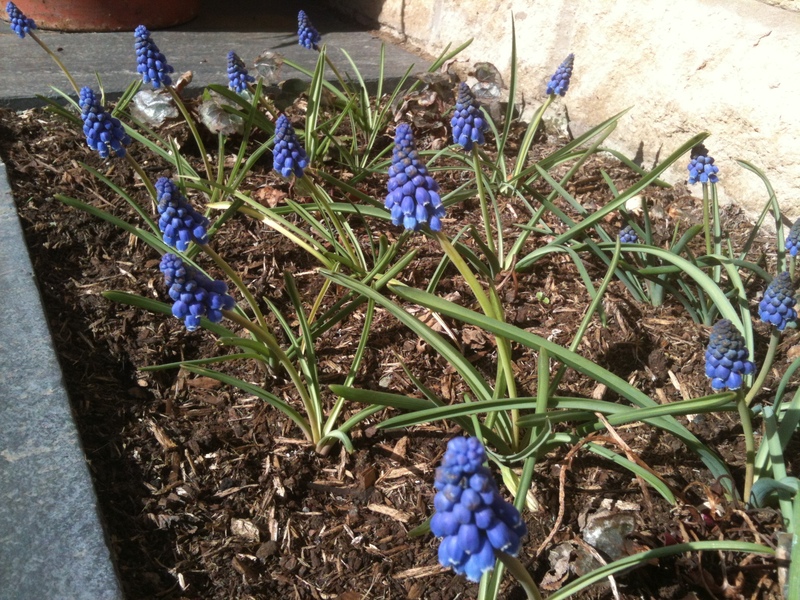 Finally, you may remember a few blogs back I had lost my Muscari. Well I found it! It was at the front door. This entry was posted in Flowers and tagged dahlia, dahlia tubers, flower border, frost, morning glory, muscari, nature, plants, semi-cactus, tubers. Bookmark the permalink. Valuable information. Fortunate me I found your web site unintentionally, and I am stunned why this twist of fate didn’t came about earlier! I bookmarked it.